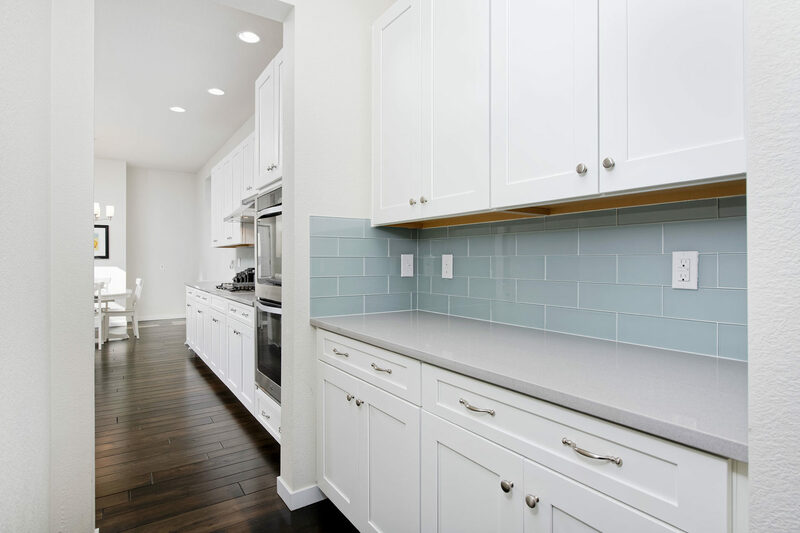 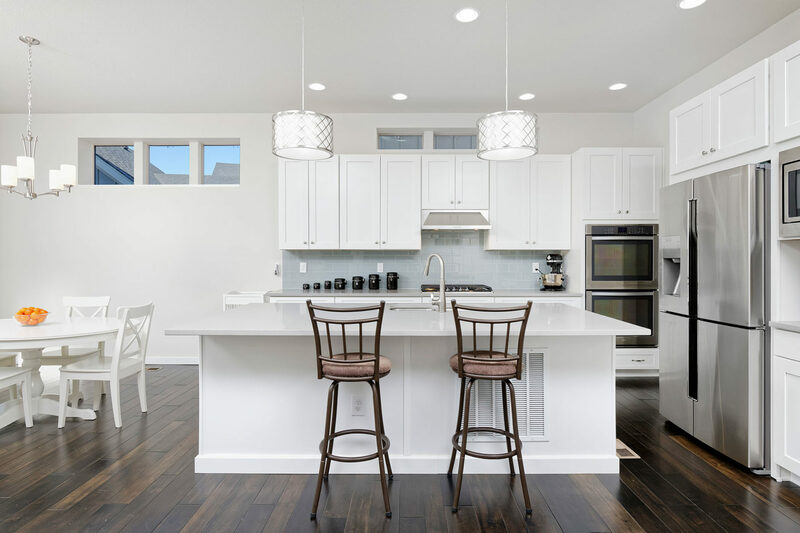 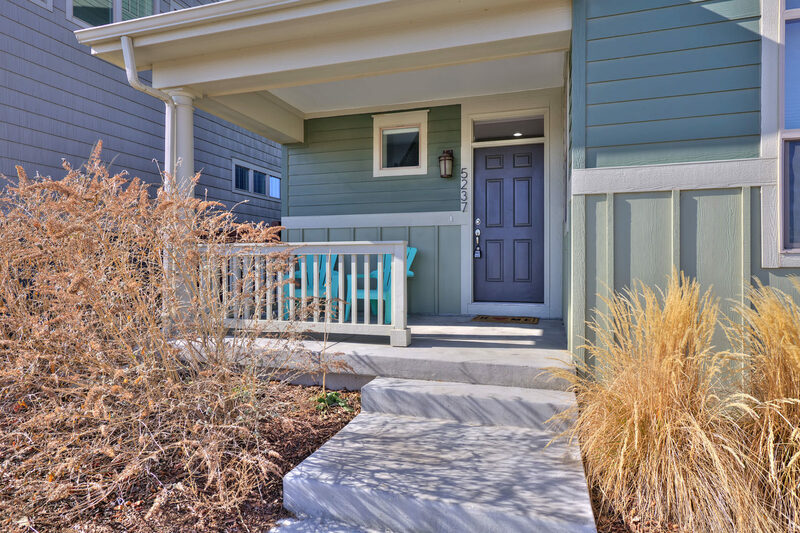 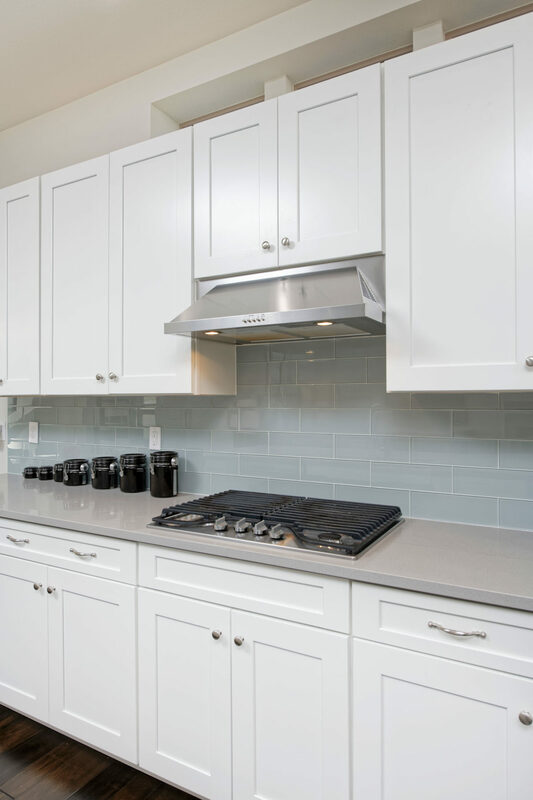 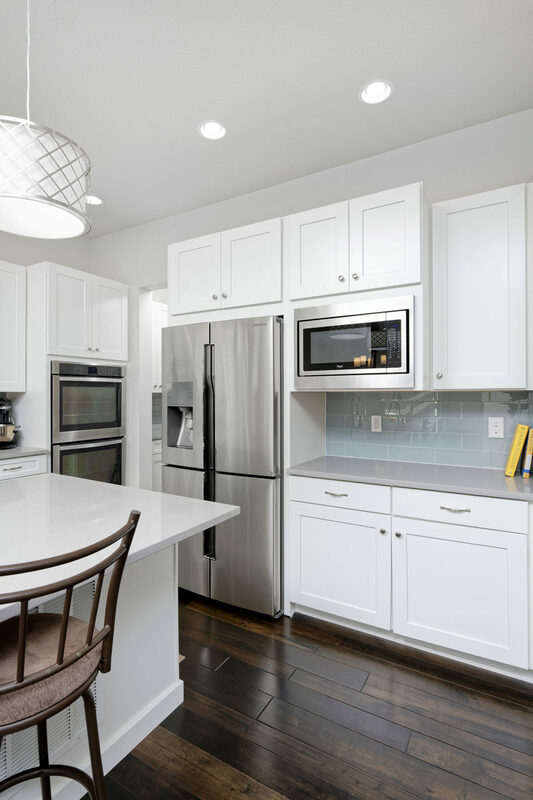 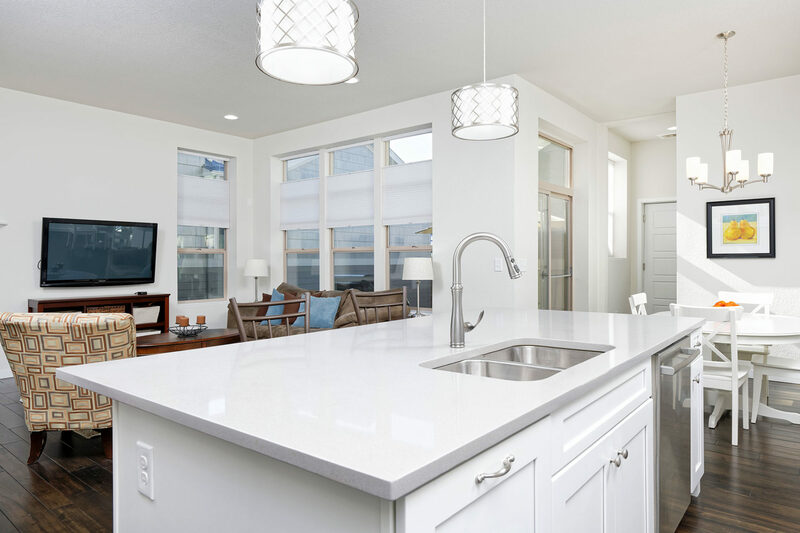 Located within Stapleton’s Wicker Park neighborhood, this home enjoys extreme walkability and convenience with parks, playgrounds, splash pads/pools, schools, dining, and shopping in the immediate vicinity as well as in the adjacent neighborhoods. 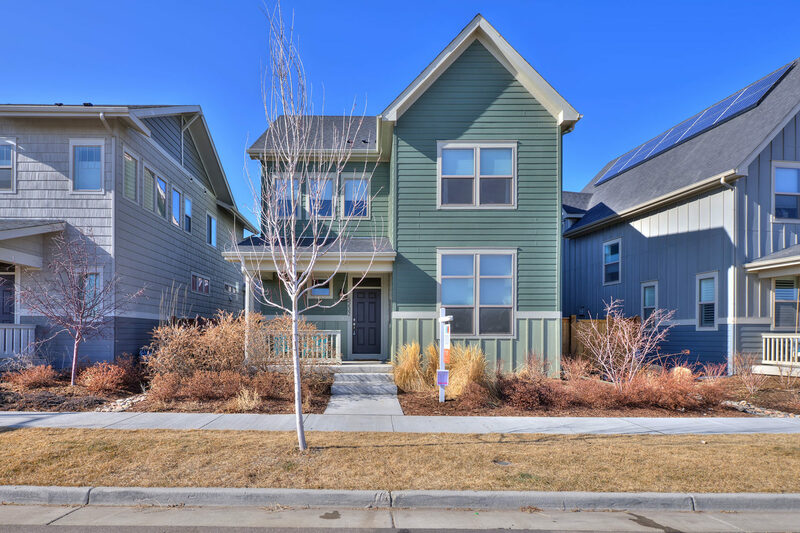 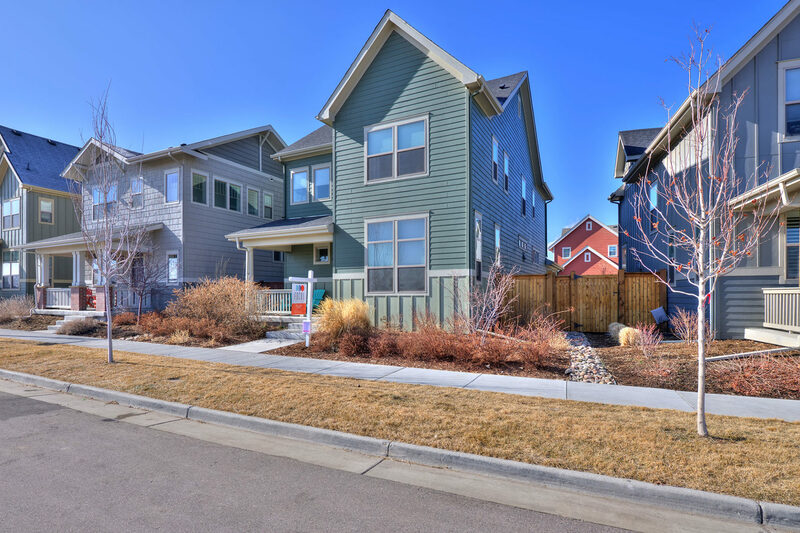 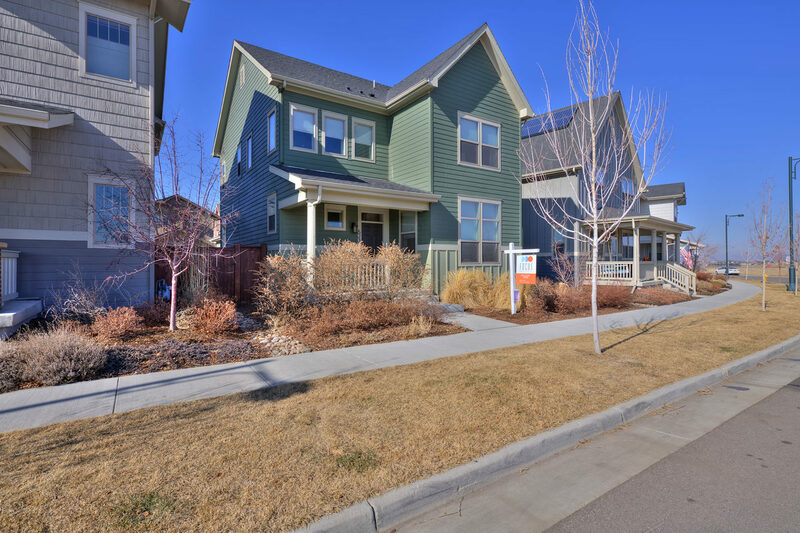 Built in 2016 by Thrive Home Builders, this turn-key home is like new but without the construction wait! 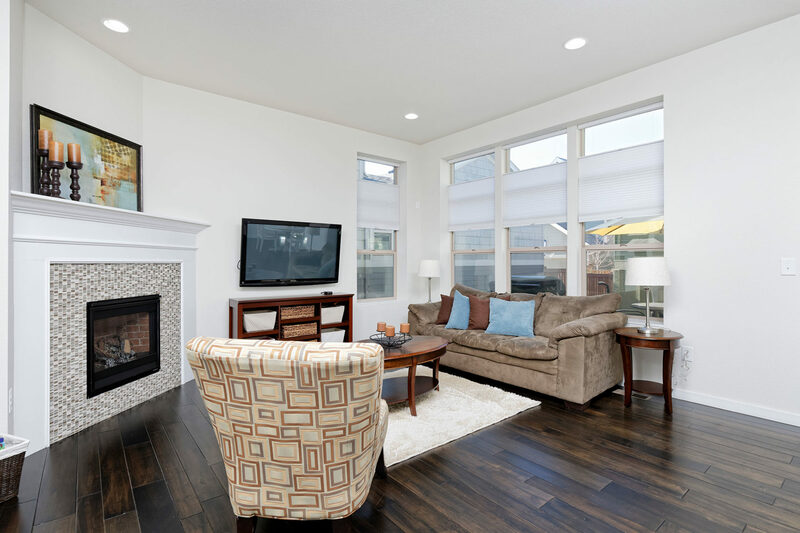 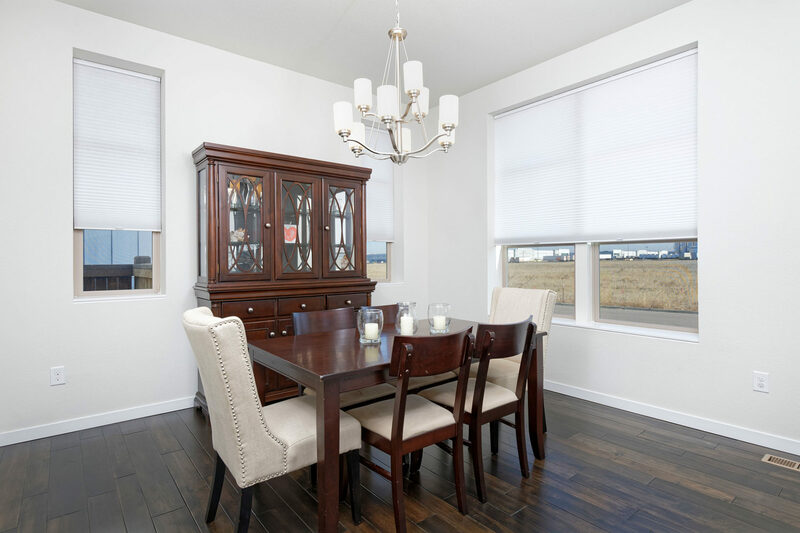 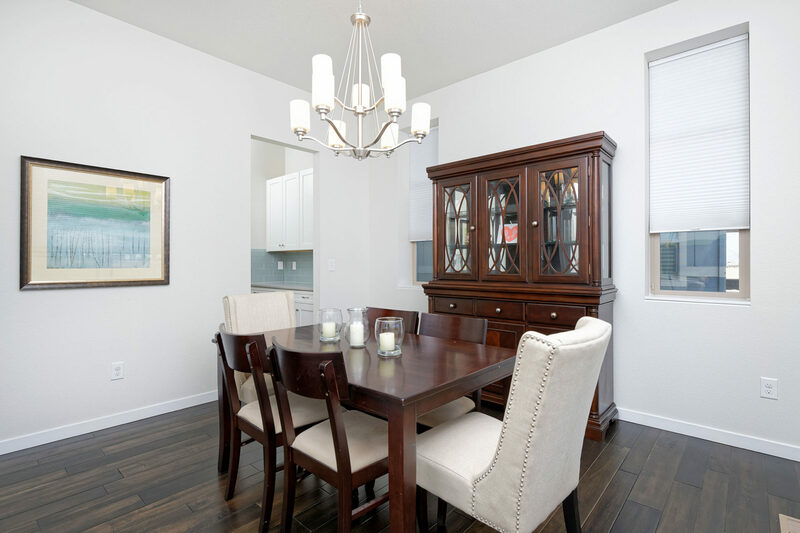 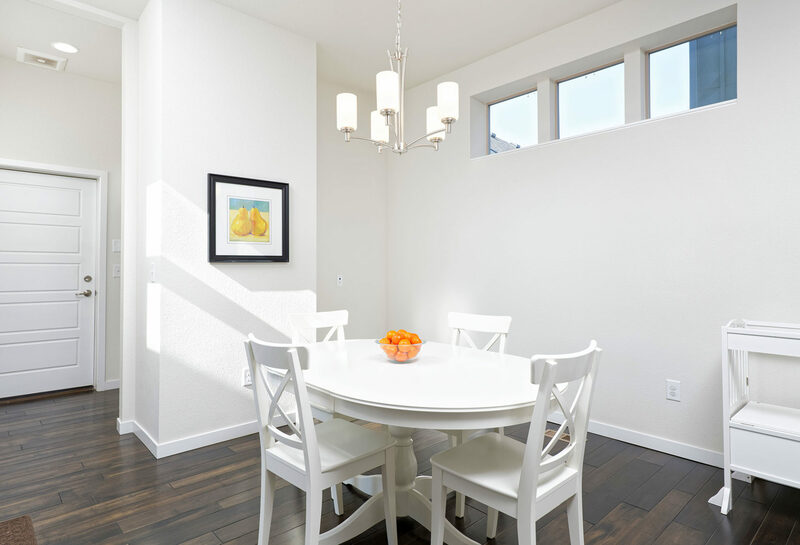 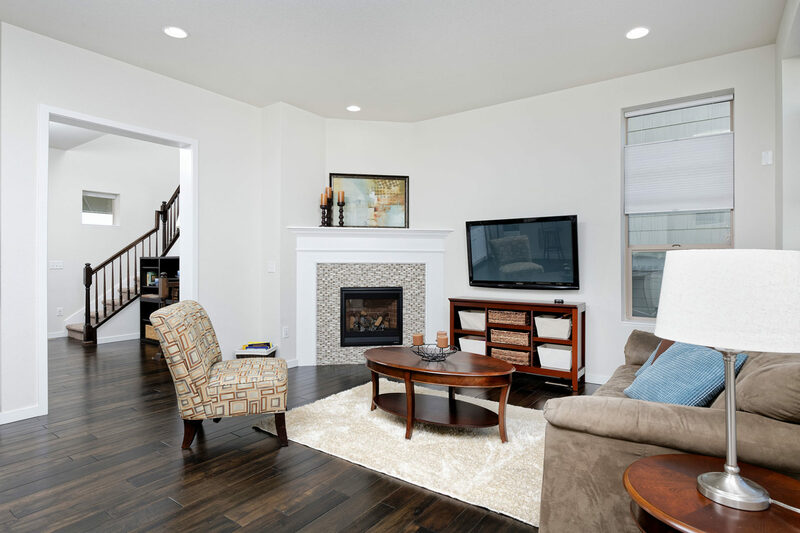 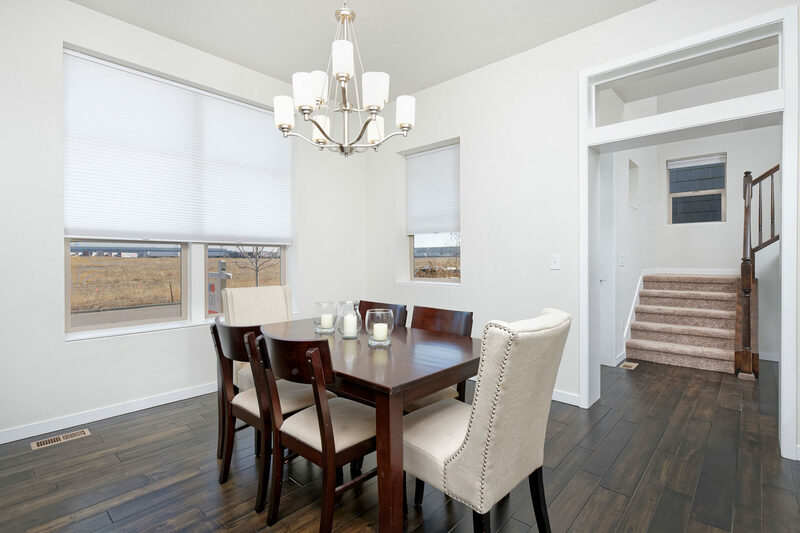 The lovely, light-filled open concept floor plan boasts hardwoods and soaring ceilings. 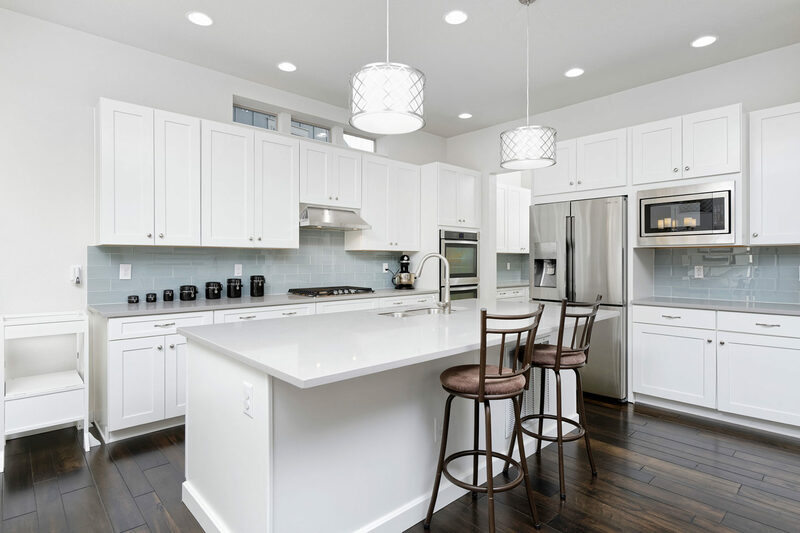 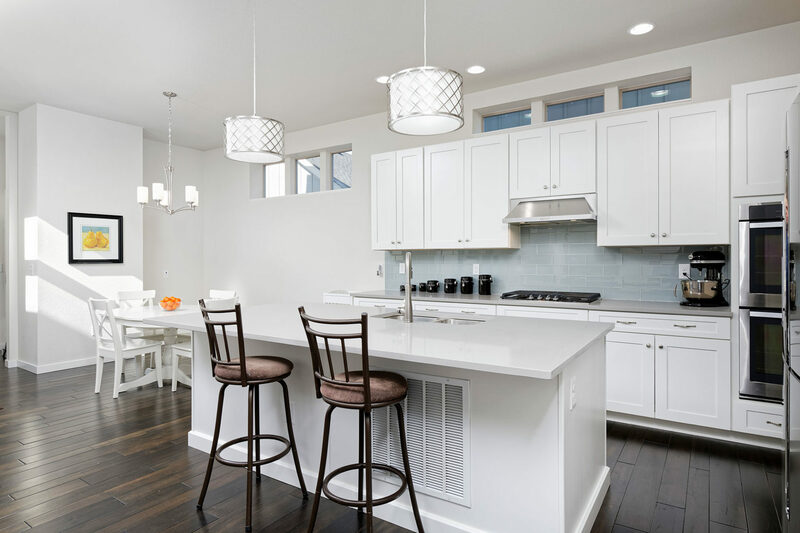 A well-appointed kitchen features stainless appliances, quartz counters, crisp white cabinetry, and designer pendants over the island. 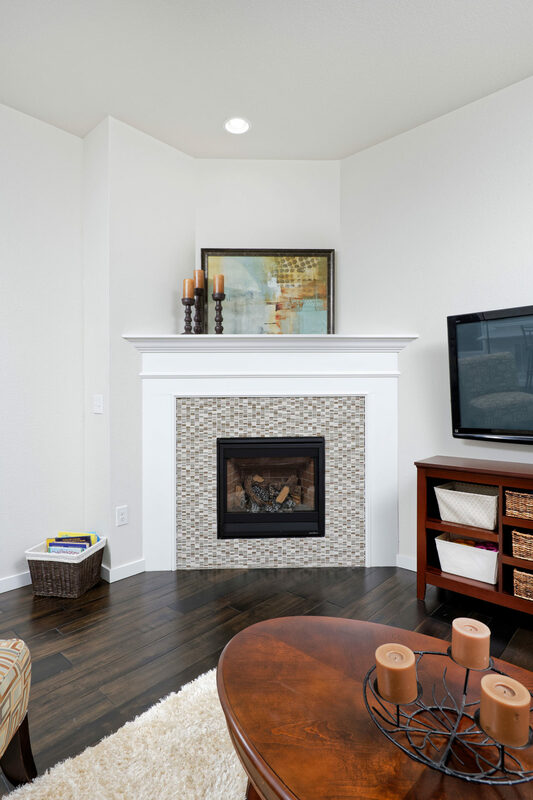 A breakfast nook and family room with cozy gas fireplace adjoin. 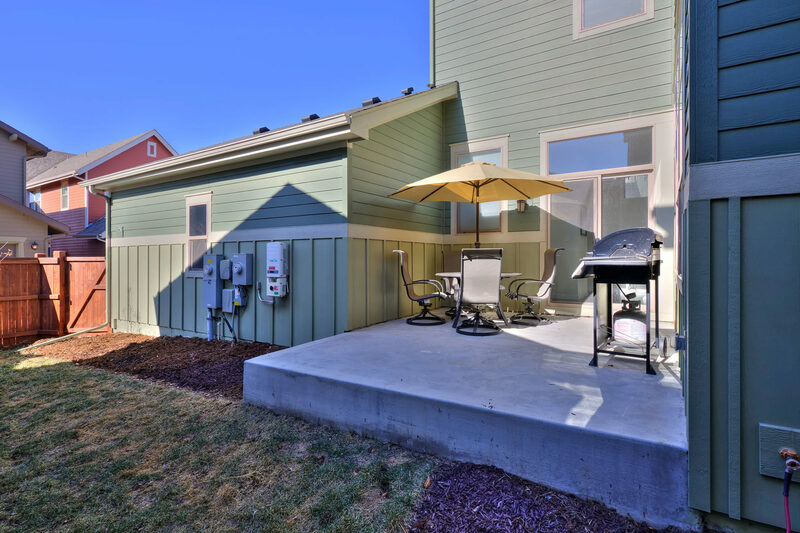 A slider opens to a pleasant outdoor space that includes a private side yard and patio. 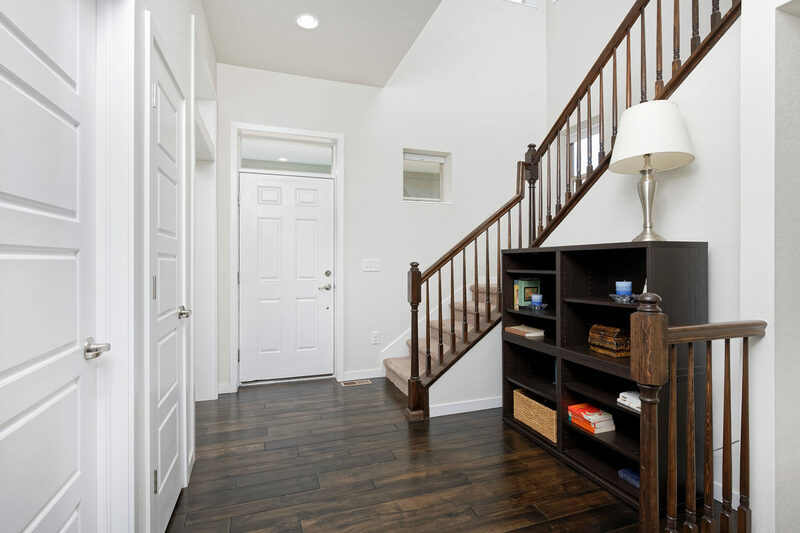 Transition from the attached garage via a tidy mudroom with built-ins. 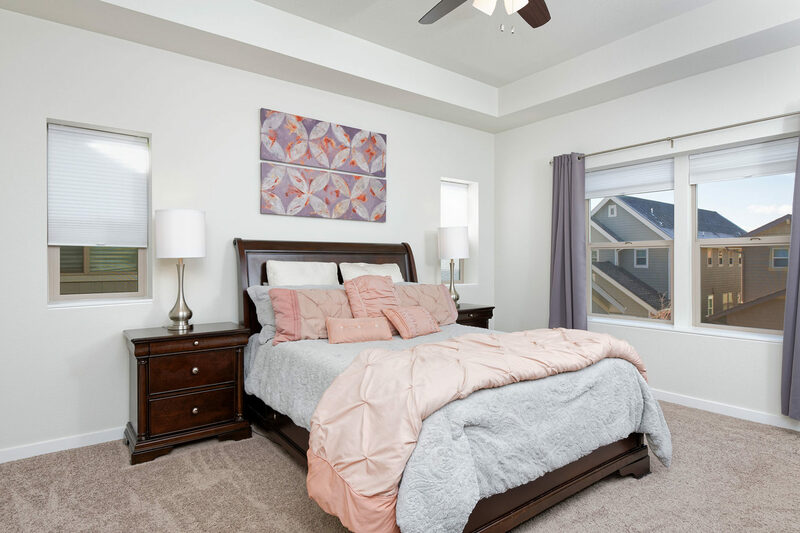 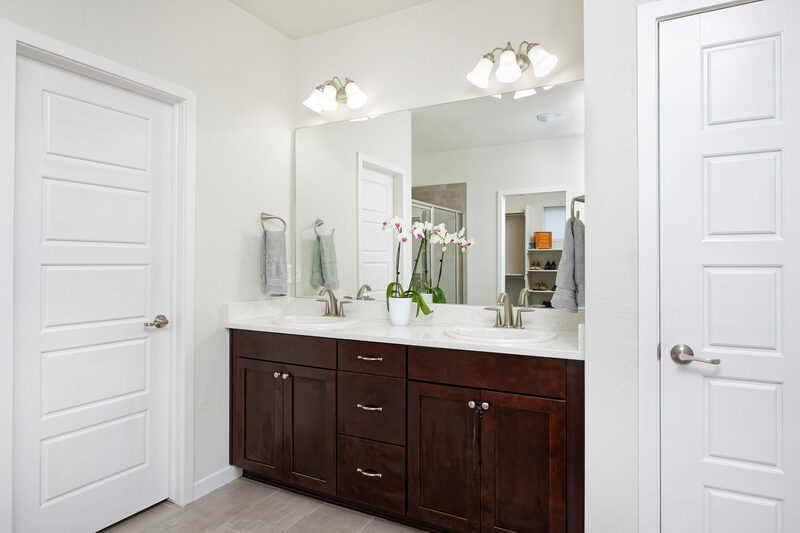 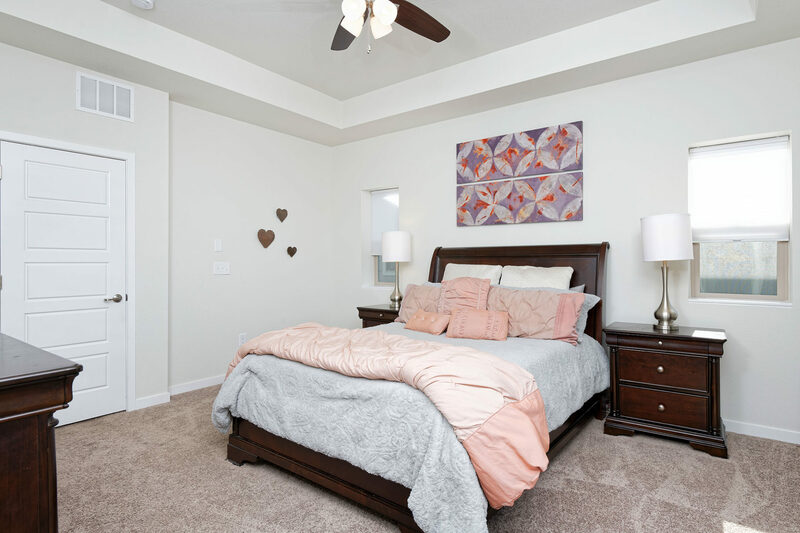 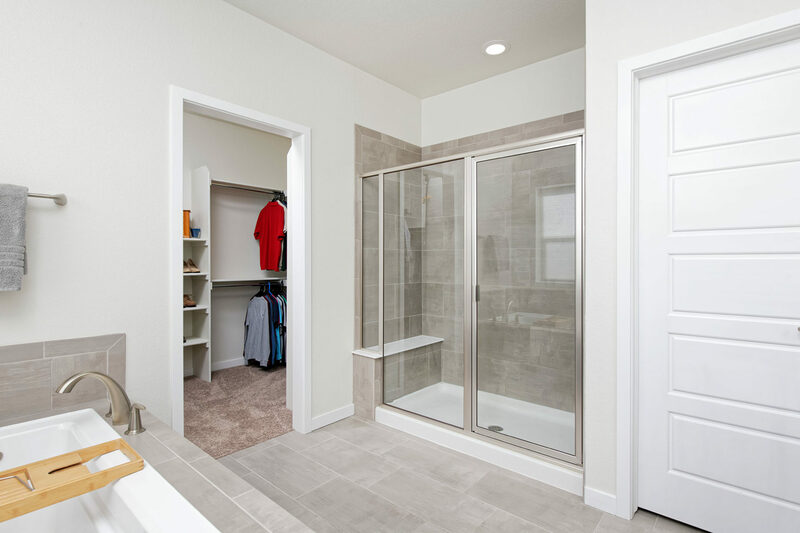 Upstairs, the master suite boasts a five-piece bath and walk-in closet. 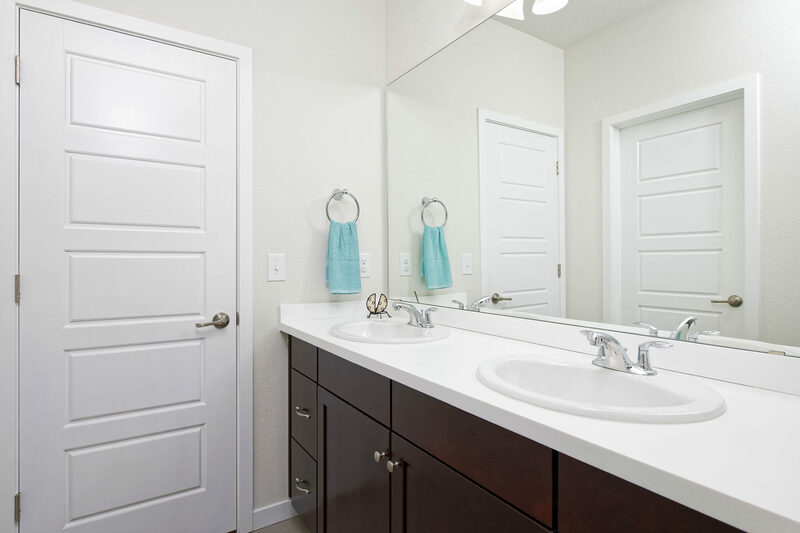 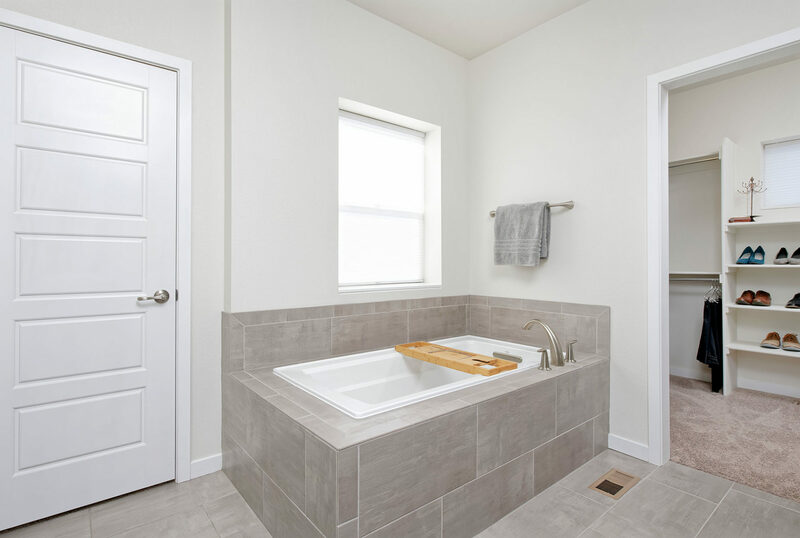 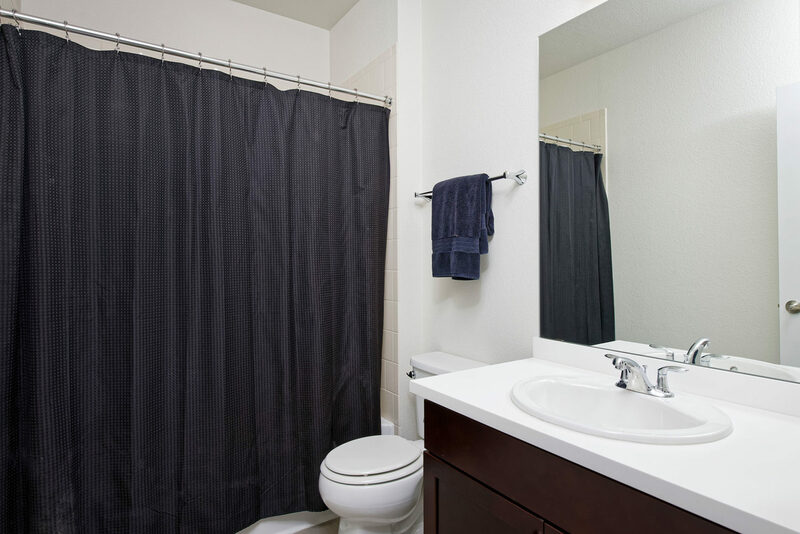 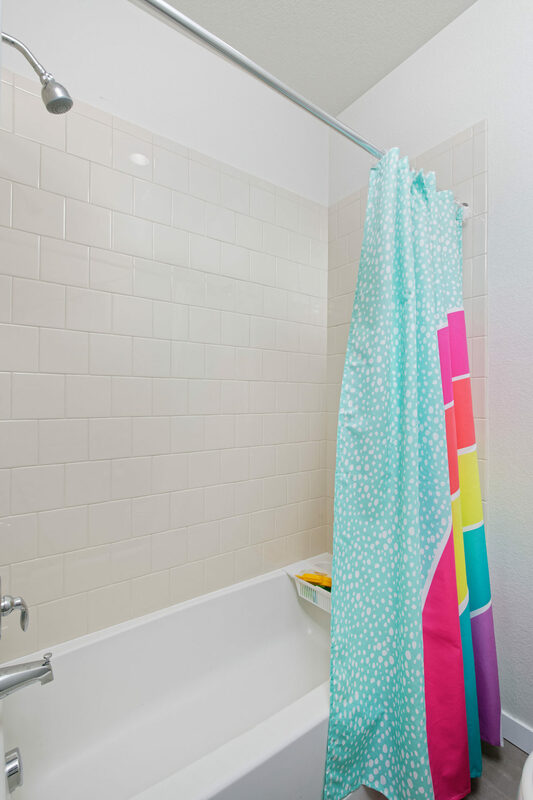 Two additional bedrooms on this level share a full bath. 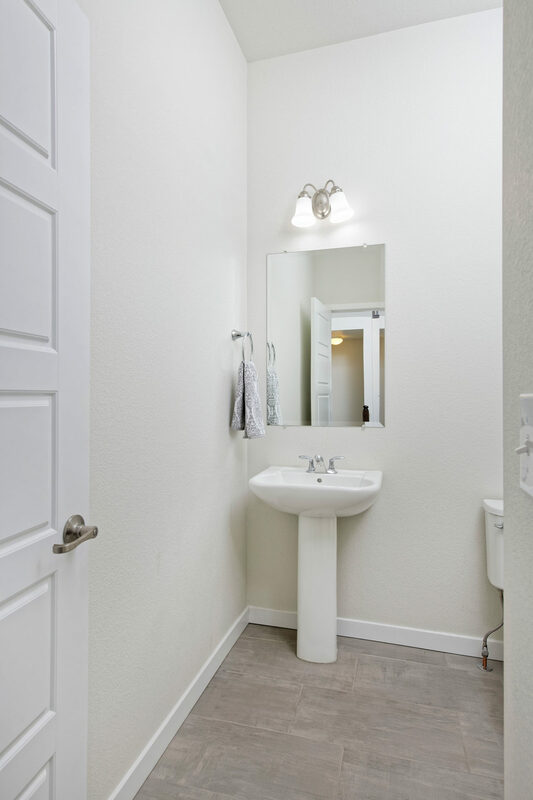 Laundry is conveniently located in the hallway. 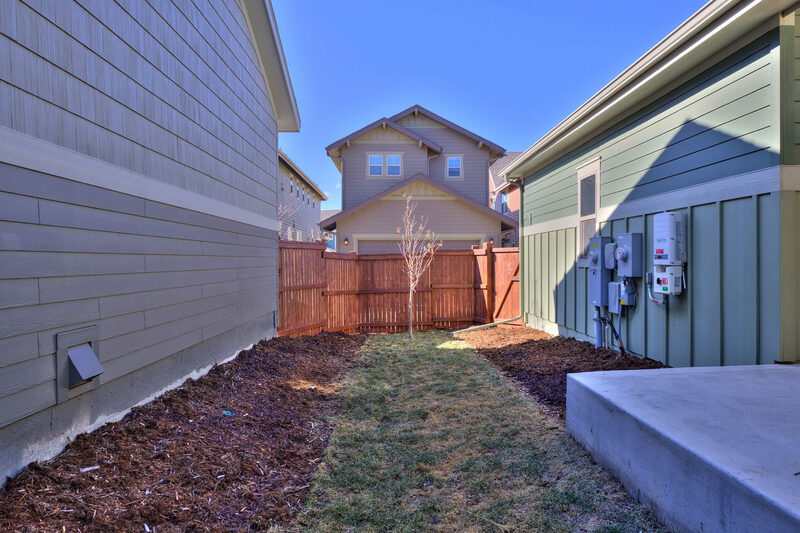 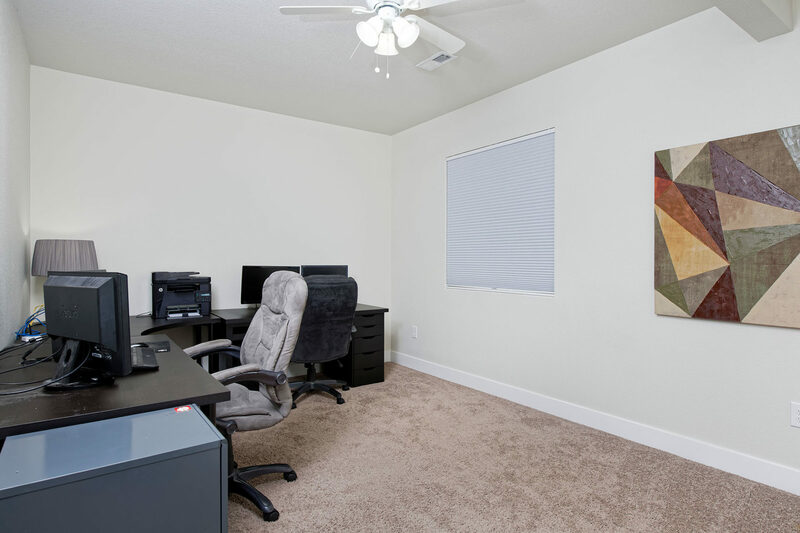 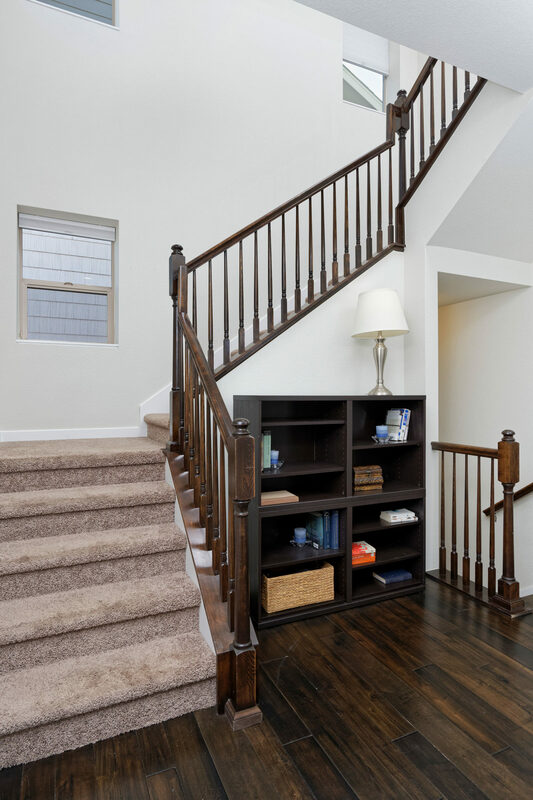 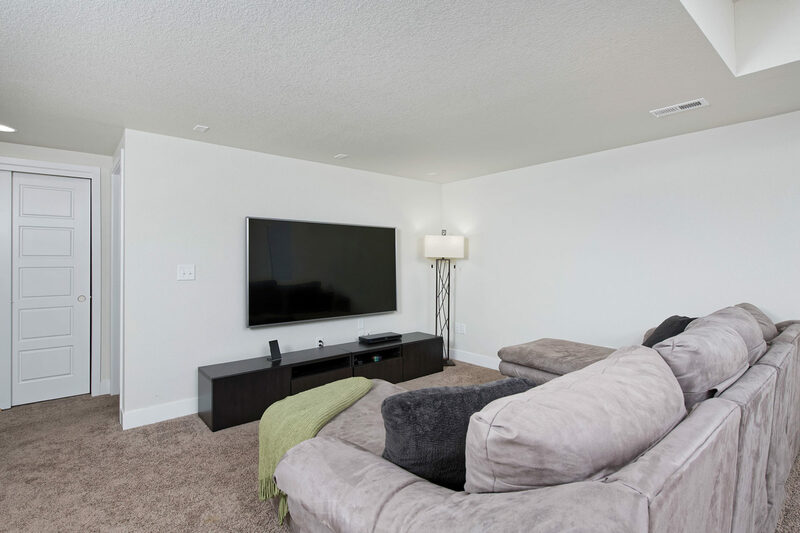 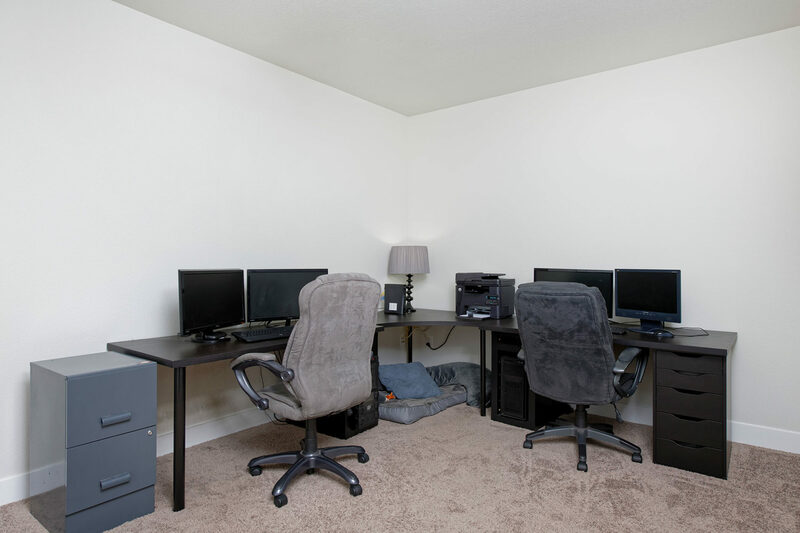 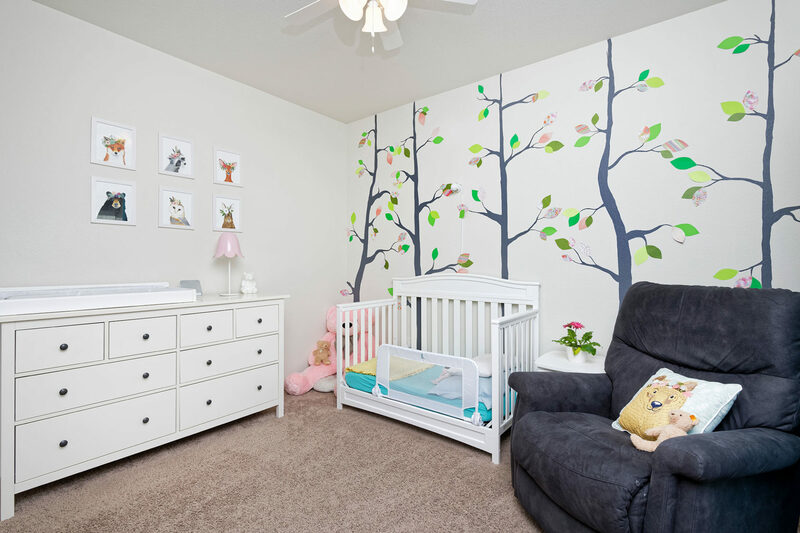 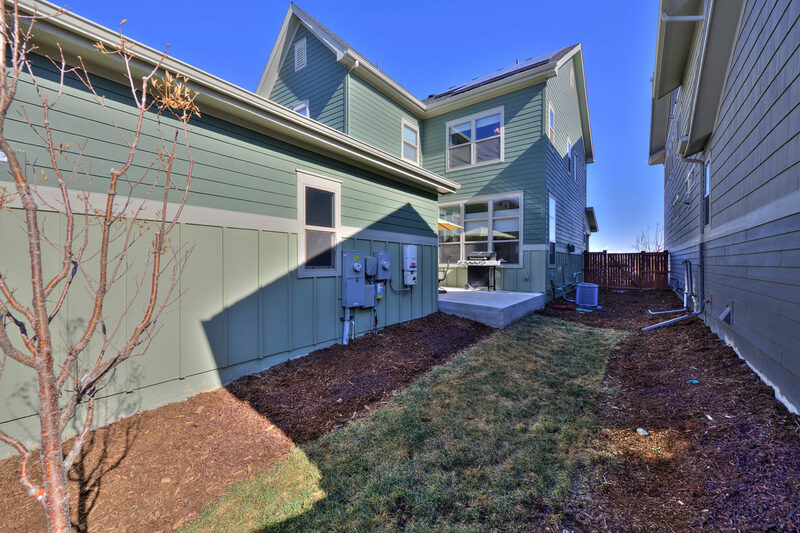 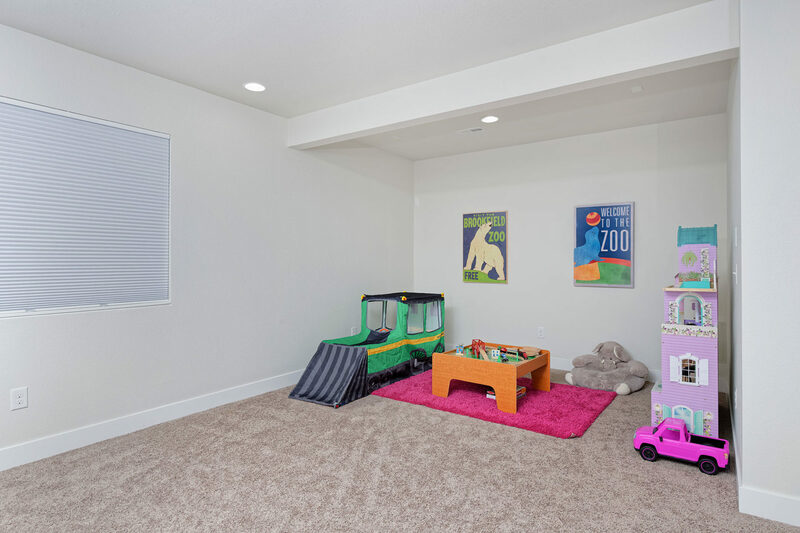 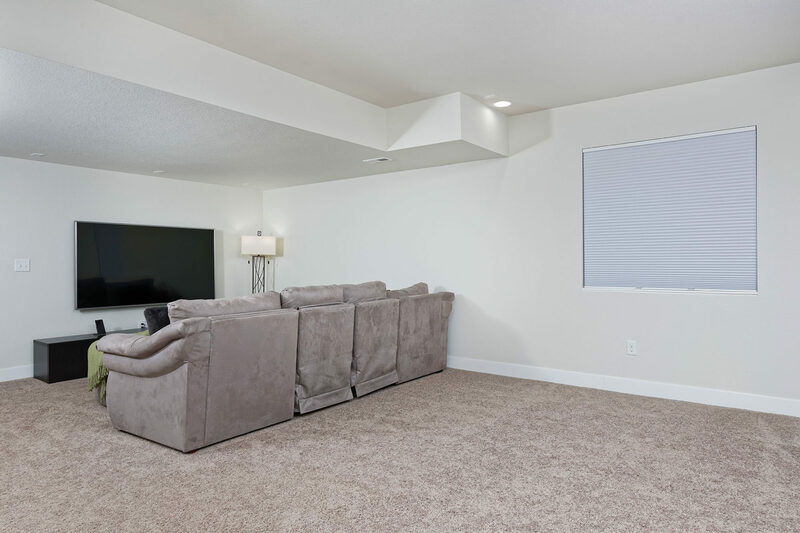 The full finished basement provides a spacious family room, bedroom with egress and closet, and a full bath. 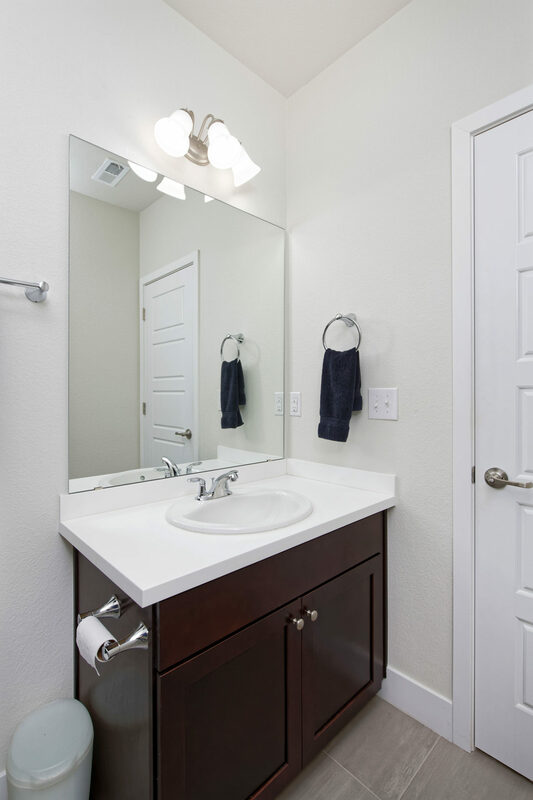 Ample storage can be found throughout.